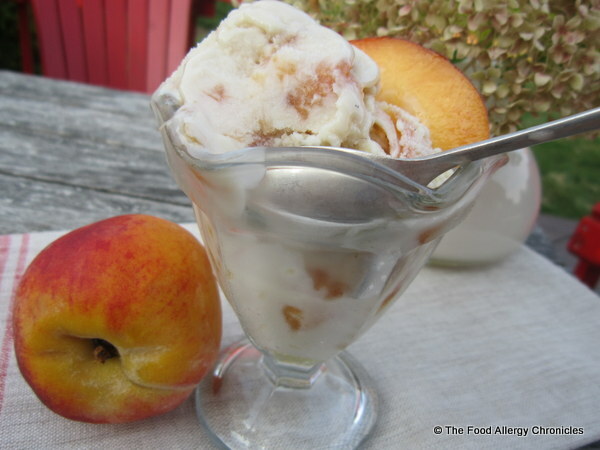 This entry was posted in allergies, dairy free, dessert, egg free, Gluten free, Ice Cream, multiple food allergies, peanut/tree nut free and tagged allergic living magazine, Dairy Egg and Peanut/Tree Nut Free Caramelized Peach Ice Cream, Martha Stewart's Living Magazine by Susan H.. Bookmark the permalink. This looks delicious, thanks for sharing! I do have one question, though. 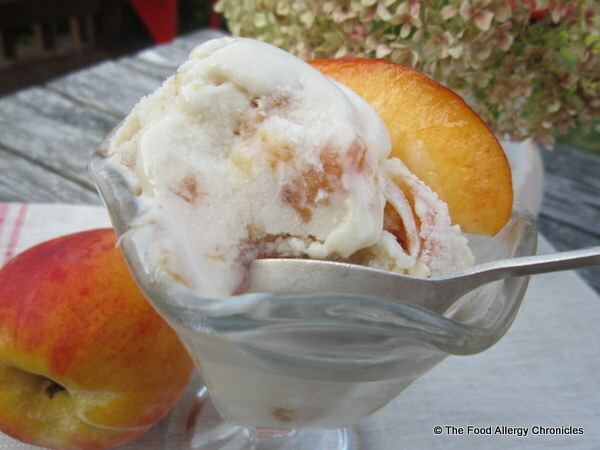 Since peaches are already naturally so full of sugar (versus other fruits), could I skip the sugar or do you have any alternatives that you use?